Welcome back to the Door Doctor blog! If you were intrigued by our last blog about what the top garage door openers this year are, you’ve come back to the right place. We’re excited to present you with the best options for your garage door opener purchase based off of a host of defining factors, like safety, affordability, and the use of tech in their systems. If you didn’t catch our last entry, go ahead and check it out so you can get the full list of the best garage door openers on the market before you make a decision. Once you’ve settled on one of the top-of-class options, reach out to Door Doctor. 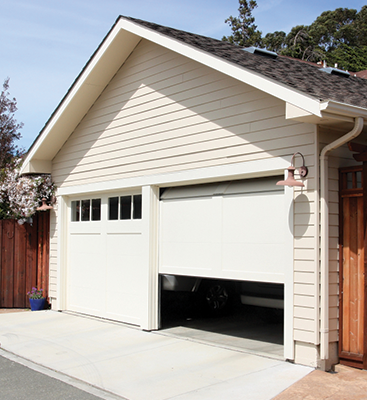 We specialize in garage door opener installation and repair so we can help make your life easy. Don’t fret about having to install your own garage door opener, let the pros program it and get it mounted and release yourself from a possible headache instead. If you’re looking for something that’s better for the budget than high-tech gadgets, this model should have you covered. 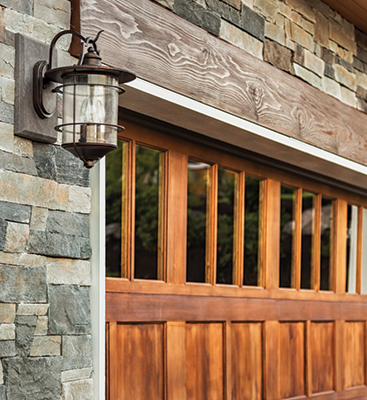 While many garage door openers are a considerable investment, this one is a bit more affordably priced — without giving up the better pieces of tech from 2018. This model comes with three remotes and can be equipped with the same MyQ smartphone control system that we discussed last time. It features a ½ horsepower motor with a chain track, as well as a wall-mounted access point and keyless entry system, which is pretty great for its lower price point. The warranties will be where you take the hit on this model. You’ll only get a 10-year motor warranty and a two-year parts warranty to take advantage of if something should go south before its time. However, the reviews that we’ve collected have specifically mentioned that they haven’t had any reason to use the warranties, so we deem it a pretty safe purchase regardless. 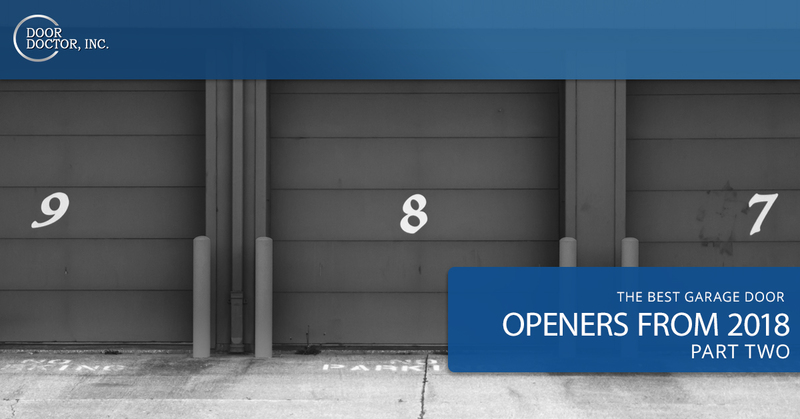 This garage door opener was made for safety, but it’s also a decent option for your wallet. Notably, it comes with a 100-watt light bulb on the unit to keep the garage interior nice and bright for security purposes as well as a heavy duty chain and horsepower motor that can drag the door up and down quickly. The remote it comes equipped with is specially outfitted to accommodate potential long-range commands and it comes with a set of advanced safety sensors. Combine that with the PosiLock anti-theft package and Patented Security+, which both come with the garage door opener standard, and you’re equipped with an incredibly safe garage door opener. Perfect for the folks with an attached garage, belt garage door openers are the quietest on the market and this one is able to boast particularly good reviews. It’s capable of lifting a 7-foot garage door that can weigh up to 500 lbs, so unless you have a rather large garage, you’ll find that it’s quick, too. You’ll find this model is equipped with a wireless keypad and remotes, though it’s compatible with a number of in-car opener systems. So if you’re worried about losing the remotes, you can always leave them at home. 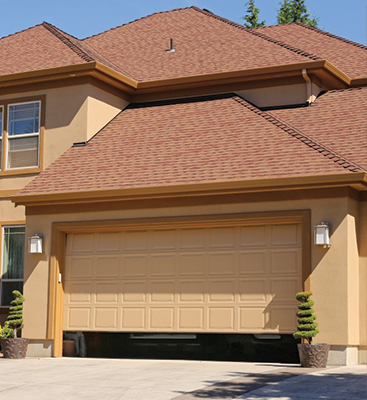 When you’re ready to install your new garage door opener, contact Door Doctor in Cape Coral. We specialize in repairing and installing these complicated pulley systems that have become one of the most crucial appliances in homes all over the U.S. Don’t subject yourself to the inconvenience of not having one nowadays when there are plenty of affordable options that’ll last you a ridiculously long time.